The second Kakato x NPV Orienteering was held on 3 Dec at Pak Tam Chung. The owners and their dogs enjoyed the event with games and sunshine. It is not only a good work-out, it also enhances relationships between the owners and their pets. With a good weather for out-door activities, the participants and their loved dogs arrived early to eagerly prepare for the game. We are very honoured to have Amy Tam (Actress) and Ruth (radio host) to cheer the team up. The competition is divided into general and company group, with a total of almost 40 groups competiting. The participants have to finish the orienteering route with multiple challenging tasks along the route that needs to be done with the co-operation of the dogs. In the company group, the winner is Keni Kwok and her lovely dog Lego with the result of 42 minutes and 48 seconds. Lego is a mongrel adopted by Keni from NPV, and they were highly co-operated in the game. In the general group, the champion is a 3 men and 1 dog group led by So Wai Hin. Other runners-up also gained good results and attractive prizes and gifts. 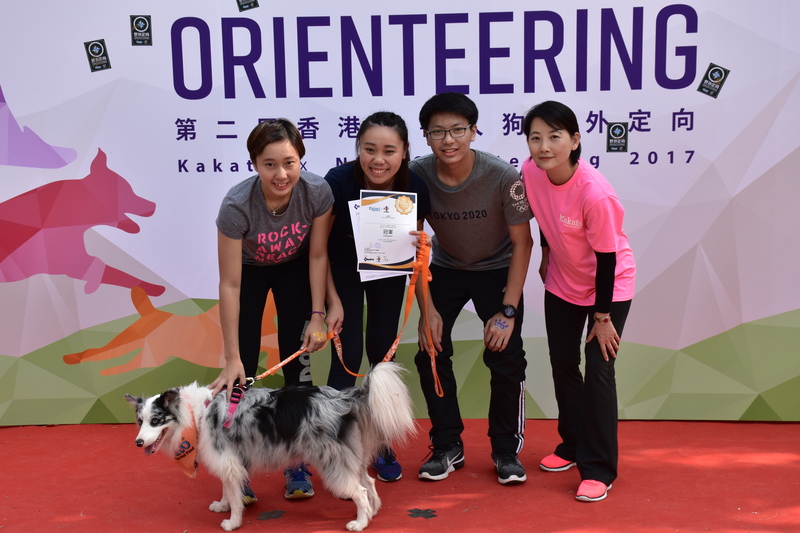 Kakato x NPV Orienteering 2017 is held by Kakato Premium Pet Food, co-organized by the Non-Profit making Veterinary Services Society (NPV) and technical supported by Hong Kong Orienteering Club (HKOC). This is a charity event for raising fund to NPV. Hope the owners and their dogs can escape from the bustling of the city and gain some unforgettable adventure memories with the orienteering event.